Every spring, the watch world gathers in Basel, Switzerland, to showcase and view the latest in horological creations at BaselWorld. This year, BaselWorld is being held in a new facility designed by famed architects Herzog & de Meuron, also known for creations including the Beijing National Stadium seen at the 2008 Olympic games. The new space, Messeplatz Halle, is over 1.5 million square-feet and expects to see over 100,000 visitors from around the globe. 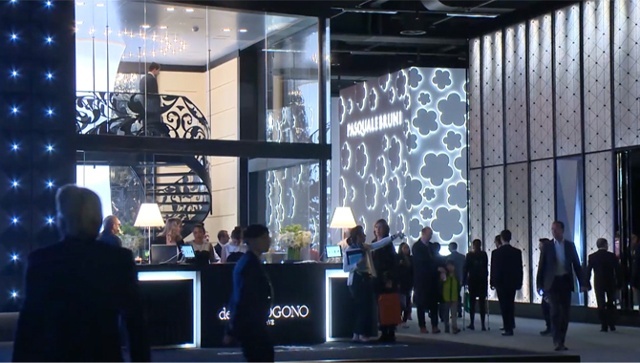 1,815 exhibitors from the watch and jewelry sectors are presenting their latest products. Set-up was started months in advance and includes multi-level booths, interactive showcases and show-goer friendly navigation between halls. Check out the rest of iW’s exclusive BaselWorld coverage on our YouTube channel.